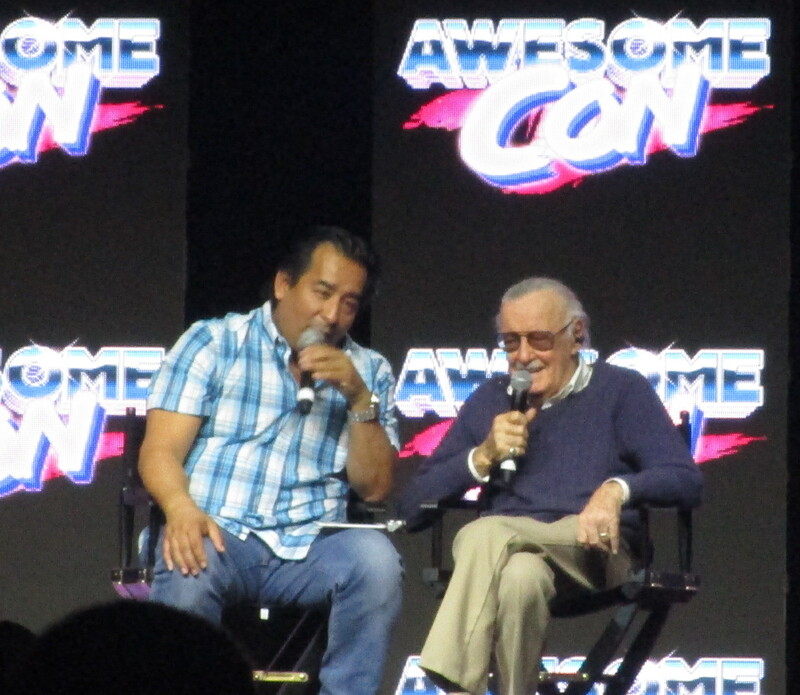 Awesome Con may be over but the coverage continues with what must have been my personal favorite Q&A, Stan Lee. Stan Lee brought to life some of the most iconic and well-known superheroes of our time leading to a huge franchise of comics, TV shows, and movies. He is the man behind Marvel comics and creator of Spider-Man, the X-Men, Iron Man, the Hulk, and Fantastic Four. However, as we learned direct from the man himself, Stan Lee began as a comic book writer but worked his way up to become publisher, remaking Atlas Comics into Marvel. If you love comics and love Marvel then sit back and enjoy my recap on an enlightening discussion and audience Q&A from Stan Lee. After being in that room and hearing Stan Lee talk I walked away knowing that I had the honor and privilege of seeing and hearing from this incredible writer and visionary. I will also never read a Marvel comic or watch a Marvel movie the same way again. This year we already had two fantastic Marvel movies in Logan and Guardians of the Galaxy Vol. 2. Still to come is Spider-Man: Homecoming and Thor: Ragnarok. On Sunday June 18th in Washington DC I queued up almost two hours before to get seated for what would become a once in a lifetime opportunity to see and hear from Stan Lee. Many fans did get to see him before over the weekend as he was signing autographs and doing photo-ops, with a chance to ask him a question. However, I found that the Q&A was just as rewarding. The opening was Stan Lee talking about how great of a convention this was and marveling at the Stan Lee museum on the exhibit floor. 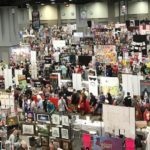 It had Stan Lees’s approval and according to the man any convention with his museum of all his Marvel collectibles in it is the greatest convention in the world. It was also father’s day so Stan Lee did a shout out to all the fathers in the audience as the fans wished him a happy Father’s Day. Unlike some of the other panels where a host asked questions the first half and then opened up to the audience this was primarily the audience asking questions. 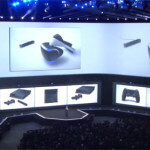 After the introduction and Stan Lee’s opening remarks it was the audience’s turn. Comics are created for the fans so it was only appropriate for the fans and readers to ask their questions. 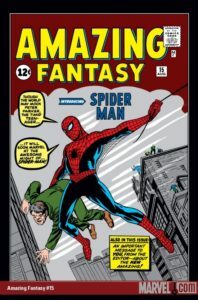 Though Marvel has expanded beyond just superheroes and now encompasses a galaxy far, far, away with Star Wars comics the morning was focused solely on Stan Lee’s creations and superheroes. He also mentioned the superheroes were modeled after him because he is really a secret superhero. Let us now take a look at what I learned from the morning with the man and his movie cameos. Stan Lee is more hands off now and turned over Marvel to a new generation of writers and artists. However, we still get to see the creative genius with cameo appearances in Marvel movies. What was Stan Lee’s favorite cameo? It’s the one where he is in more than one scene and that was Thor. Also, in Guardians of the Galaxy Vol. 2, he was wearing an actual space suit, which was cumbersome and impossible to move in. Even so he sounded like these cameos where a fun time and he enjoys doing them. 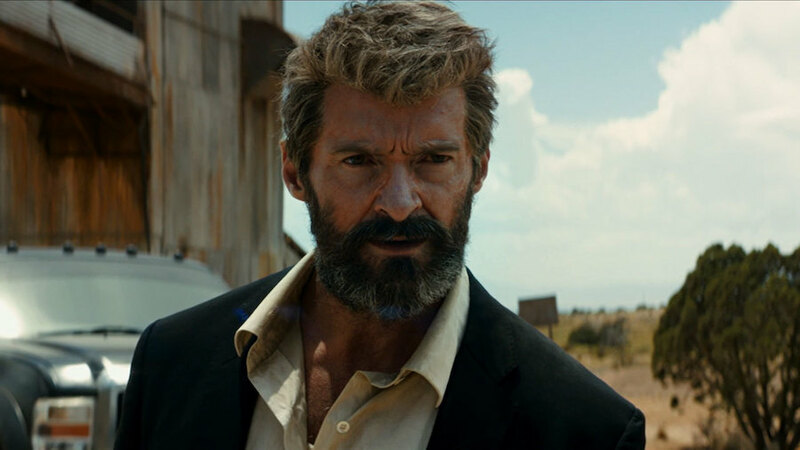 Hugh Jackman as old man Logan in Logan. This year we had the release of Logan. In this movie Hugh Jackman plays old man Logan who is far removed from the Wolverine we saw in the X-Men movies. Personally, I thought the movie captured the true essence of a very conflicted personality and we got to see a real Wolverine in action. 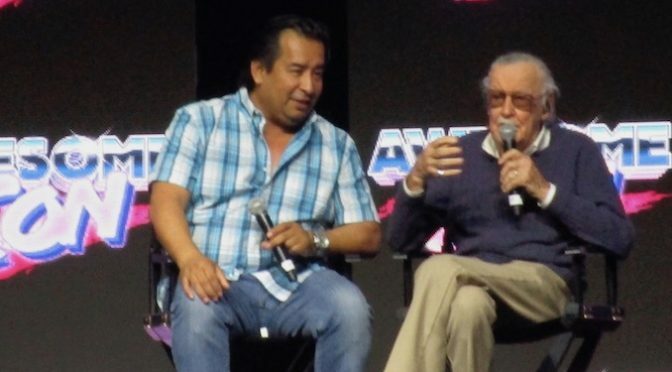 As far as portraying an older version of a superhero an audience member wanted to know Stan’s view of older characters in comics. It is really about what interests the readers and if the audience wants an older character then the writers will write about them. They will write characters as interesting as they can and if the older characters are interesting and appealing to readers then they in turn will continue to write that character or type of character. It comes down to what the audience wants and how the writer features that character. Some characters become popular like old man Logan and others are thrown away. Because of the popularity of these characters Marvel has become a dominating force in comics. One thing I learned was Stan Lee is amazed by how far Marvel has come and the popularity it now enjoys. Though it lost popularity decades ago, recently comics have seen a rejuvenation to become the most popular reading source in the world for those that get comics and the younger generations. He would like to see all series including X-Men go on forever and get even bigger then they are now. During the morning talk Stan Lee mentioned the Hulk, Spider-Man, and Fantastic Four more then other superheroes, except for the ones brought up by the audience. These are his favorite though he likes all his creations and Marvel’s characters. When it comes to the characters he was most surprised by it was the Hulk’s popularity that was the biggest. Lee was not sure if fans would like the Hulk but he was proven wrong and we still have the Hulk today. By the way, he is green just because Stan Lee thought he should be green. It is something special to hear how these characters are created from the creators themselves. Also, to honor the work of such a great man Stan Lee will be having his handprints immortalized in cement on July 18th in Hollywood. Sorry to disappoint crossover fans but you may never see a Marvel and DC crossover movie. According to Stan Lee it’s not the creativity that is the issue but the legal issues involved with that type of movie. Though he did say it would be fun if it happened. As mentioned in the David Tennant panel recap Stan Lee thinks that William Shakespeare is the greatest storyteller of all time, which got an applause from the audience. Now if only Shakespeare could know how popular he became and influential his writings are to modern writers and actors. Stan Lee is a writer and creator but not the artist. He writes the stories and the artists create the look of the characters, including their costumes. As a writer Stan Lee tells the artists how the characters should be and the type of character they are but it is the creative talents of the artists that design the characters look. When it comes to costumes, Stan Lee is not a costume guy. However, the fans love costumes and that is why every issue of Fantastic Four has costumes and the first didn’t. At first Lee didn’t want the Fantastic Four to have costumes, they were not to be advertised as superheroes. The fans didn’t like that and they wanted costumes, even though they loved the story. From that moment on the Fantastic Four and all superheroes got costumes. Stan Lee is about the story, he loves telling stories but superhero comics are also about fight scenes, good guys triumph over the bad guys. When he first started working in comics they were only pages of fight scenes and no real story. It got to a point where he almost quit comics because he couldn’t write any more fight scenes. 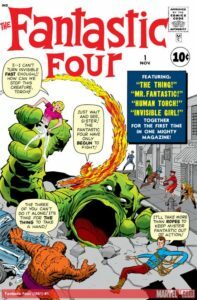 Until his publisher asked him to write comics Stan’s way and so he wrote Fantastic Four with people talking to each other along with the fight scenes. We all know how that story ended because today we still have Stan Lee’s stories and Marvel. Even though he created the stories Stan Lee never saw an end to his stories or characters. 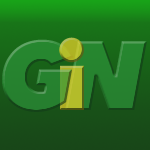 With new talent and writers the stories continue. Marvel will continue and we all have Stan Lee to thank for it’s initial success and the creativity and drive of a new generation of comic creators. That concluded the morning talk by one of comic’s best creators and writers. Marvel is now light years beyond when Stan Lee first took over and it will continue to be a success with a new generation of fans. I am looking forward to the future of Marvel superheroes and other books, including the Star Wars books. The series I am into at the moment is the Poe Dameron comics, which are fantastic stories. We also learn how bad the First Order really is and how awesome the Resistance and Poe Dameron are. Besides comics and movies we also have a myriad of TV shows with two new shows coming later this year, Inhumans on ABC, and Punisher coming to Netflix. As for the upcoming Marvel movies this year, Spider-Man Homecoming releases in theaters on July 7th and Thor: Ragnarok on November 3rd.